Bruce Jenner swears he's not gay but a openly gay TV producer Richard Lasko swears one of his male friends had an affair with Bruce in the 90s. 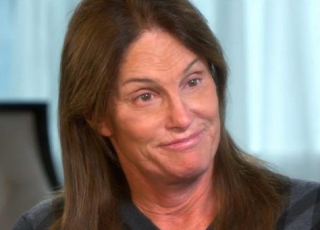 “I am not gay,” Bruce Jenner insisted during his interview with Diane Sawyer. “I am, as far as I know, heterosexual.” But RadarOnline.com has learned there’s at least person who would disagree with that statement — including his former boyfriend! In an explosive world-exclusive tell-all, TV producer and journalist Richard Lasko is coming forward for the first time to reveal that a close friend claimed to have had an ongoing relationship with Jenner in the late 1980s — and he had the photos to prove it. The man — a tall, beefy twenty-something at the time — regaled Lasko with the story of how he met Jenner in L.A., and how their attraction grew into a serious romance. Both athletes, they even worked out together, Lasko said. But when the relationship fizzled, Jenner, and his lover, would keep the affair a closely-guarded secret for decades. To this day, Jenner insists, “I’ve never been with a guy,” touting his marriages to Chrystie Crownover (1972 to 1980), Linda Thompson (1981 to 1986) and Kris Jenner (1991 to 2014) as proof of his attraction to women. But is it yet another lie to the world that will later be exposed? He later denied having any past sexual relationship with Jenner, whose own rep did not respond to a request for comment. Watch Lasko’s interview here, and for more of Jenner’s secrets, stay tuned to Radar!